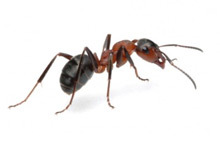 Ants classified as pests include the pavement ants, yellow crazy ants, sugar ants, Pharaoh ants, carpenter ants, Argentine ants, odorous house ants, red imported fire ants, and European fire ants. Populations are controlled using insecticide baits, either in granule or liquid formulations. Bait is gathered by the ants as food and brought back to the nest where the poison is inadvertently spread to other colony members through trophallaxis. If you want something safer for children and pets, our pest control Long Island team can use boric acid and borax as insecticides that are relatively safe for humans. Cockroaches are one of the most commonly noted household nuisances here in New York. They feed on human and pet food and can leave an offensive odor. They can also passively transport microbes on their body surfaces, including those that are potentially dangerous to humans. Cockroaches have been shown to be linked with allergic reactions in humans. One of the proteins that triggers allergic reactions has been identified as tropomyosin. These allergens have also been found to be linked with asthma. Our Long Island pest control professionals can help you eliminate your cockroach problem, and get you back to the healthy lifestyle you deserve. Once bed bugs have invaded your home, they can be tough to eliminate with regular store-bought insecticides. Their habits, size, and hardy nature help contribute to their persistence in homes that they have invaded. An adult bed bug is not very large; it is usually about 1/4 of an inch long. The small body size helps this pest hide in areas that make their elimination difficult. But don’t worry. 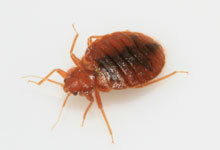 At our pest control Long Island company, we have developed methods to get rid of bed bugs. We have professional-strength insecticide, and we know where and how to apply it so that all of the Long Island bed bugs are killed. Let’s stop these vampire-like bugs from feeding off your blood! Call Pest Pro Exterminating today. Adult house crickets are 3/4-1 inch long and are light yellowish-brown with three dark bands on the head. They will eat almost anything, often causing damage to woolens and silk. 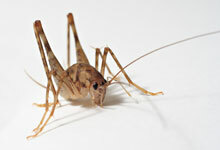 Crickets are nocturnal, hiding during the daytime and becoming very active and vocal during the night. Crickets can be found in basements, crawlspaces, kitchens, fireplaces, behind appliances, behind baseboards, and inside other cracks, crevices and wall voids. It is in these voids that a professional bait should be used. At Pest Pro Exterminating, our Long Island pest control professionals specialize in treating pest problems just like this. Don’t let Jiminy Cricket and his gang keep you up at night or destroy your furniture. Ticks are one of the last things you want to find crawling in your home, infesting your lawn and shrubs or attached to your pets and family members. These tiny bloodsuckers can be a stubborn pest to eliminate if given a chance to take hold. The pest control Long Island residents trust can help you get rid of ticks in your home and severely decrease your chances of developing Lyme disease. Tick species are widely distributed around the world. However, they tend to flourish in places with warm, humid climates, because they require a certain amount of moisture in the air in order to undergo metamorphosis. 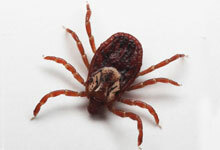 This means that Long Island is the perfect breeding ground for tick infestation. Fleas are a nuisance to their hosts, causing an itching sensation which in turn may result in the host attempting to remove the pest by biting, pecking, scratching, etc. in the vicinity of the parasite. Fleas are not simply a source of annoyance, however. Some people and animals suffer allergic reactions to flea saliva, often resulting in rashes. Flea bites generally result in the formation of a slightly raised, swollen itchy spot with a single puncture point at the center (similar to a mosquito bite). The bites often appear in clusters or lines of two bites, and can remain itchy and inflamed for up to several weeks afterwards. Fleas can also lead to hair loss as a result of frequent scratching and biting by the animal, and can cause anemia in extreme cases. 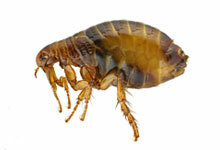 Our Long Island pest control technicians can eliminate your flea infestation when you give us a call today. 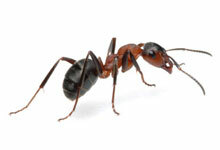 Carpenter ants can damage wood used in the construction of buildings. They can leave behind a sawdust-like material called frass that provides clues to their nesting location. Carpenter ant galleries are smooth and very different from termite-damaged areas, which have mud packed into the hollowed-out areas. Control involves application of insecticides in various forms, including dusts and liquids. The professional-grade dusts are injected directly into galleries and voids where the carpenter ants are living. The liquids are applied in areas where foraging ants are likely to pick the material up and, upon returning, spread the poison to the colony. Pest Pro Exterminating provides experts that can apply insecticides in a safe manner, so you don’t have to worry about you small children or pets. Remember, our goal is to keep your family safe from pests, not to create more problems. Clothes moths go through complete metamorphosis: egg, larvae (crawling stage), pupae (cocoon) and adult (moth). However, it is the larval stage that damages fabric. Organic materials such as wool, hide, and fur, contain keratin, a protein the Clothes moth and carpet beetles digest. Clothes moth larvae are cream colored and grow to up to 1/2″ in length. All moth larvae possess three pair of legs just behind the head, but also have a set of short, stubby feet behind those legs called prolegs. Prolegs define the larvae as a moth rather than a beetle. If you are experiencing a problem with Clothes moths, let Pest Pro exterminating help you get rid of your problem by calling us today. If you see small moths flying around inside your home, they are probably a type of grain moth. 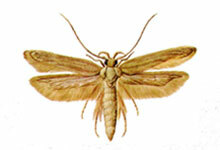 Grain moths can include Indian Meal Moth, Mediterranean Flour Moth, and others. In general, flying pantry pests of this kind can be identified by their numbers and location. 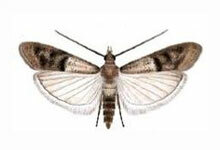 If you have grain moths in your home, let Pest Pro Exterminating terminate them. Since these insects love grains, you will most likely see them in your kitchen. In some instances, these pests can be found in dried flower arrangements, pet foods, seeds, nuts, chocolate, or dried fruit. In these cases you can find the pests in areas other than the kitchen. Spiders vary greatly in size and color. In body length they range from 1/50th of an inch (0.5 mm) to 3 1/2 inches (9 cm). Most spiders are gray, black, or brown, but some are such vivid colors as green or red and others have colorful markings on their bodies. Few creatures are as feared and misunderstood as spiders. For the most part, spiders are harmless and generally beneficial by keeping the insect populations in check. Beneficial or not, if spiders become a pest they need to be eliminated. 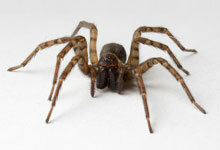 Pest Pro exterminating can help you eliminate a spider problem in your home. Although most spiders will only bite humans in self-defense, and few produce worse effects than a mosquito bite or bee-sting, they can be an unnecessary nuisance in your life. Several species of carpet beetles enter houses. The adult black carpet beetle is dull black with brown legs. 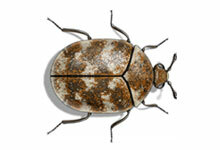 Adults of other species of carpet beetles are mottled with white, brown, yellow or black. Carpet beetle adults are about one eighth of an inch long. They fly readily and are attracted to light. These beetles are attracted to soiled fabrics and crevices where dead insects may serve as a food source. Their appetite includes dead insects, spiders, and even nectar and pollen. Regular cleaning of spilled food or lint will eliminate any sites for potential breeding. If you already have a problem with carpet beetles call Pest Pro Exterminating today. Susceptible items like food, woolens, and furs should be stored in an insect proof container to help eliminate breeding. 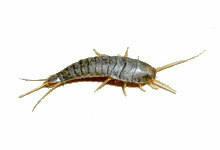 Silverfish are small primitive insects that are found in dark, damp, warm places throughout our homes. They prefer starchy materials such as cereals, wallpaper and book bindings as food but in large populations they may do damage to cotton and linen fabrics. Treatments for silverfish control need to be applied thoroughly to all potential hiding places such as cracks, crevices, inside floor moldings, around steam and water pipes, in and behind seldom moved furniture, closets and even attics. At Pest Pro Exterminating we have a team of professionals that can help you if you have a problem with silverfish in your home. As a household pest, millipedes are more of an annoyance or nuisance, rather than an indoor-breeding pest that causes destruction. Millipedes normally are found outdoors where they feed on damp and decaying wood, organic material, and will also feed on tender roots and green leaves that have fallen to the ground. Finding these living areas is an important key to millipede elimination. 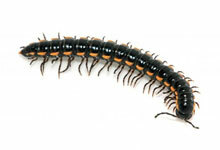 If you are experience trouble with eliminating your millipede problem let us at Pest Pro Exterminating help you. This occasional invader has two pair of legs per body segment, except for the first three segments which have one pair of legs per segment. Centipedes are flattened, elongated animals with one pair of legs on most of their body sections. The total number of legs varies from 10 to more than 100, depending on the species. Because of their poison glands and ability to bite, centipedes do pose an occasional threat to man. Some species of centipede can be hazardous to humans because of their bite. Although a bite to an adult human is usually very painful and may cause severe swelling, chills, fever, and weakness, it is unlikely to be fatal. Ordinarily, centipedes dwell outdoors in moist, protected localities: beneath accumulations of leaves, under stones, rotted logs, boards, leaves, bark and compost piles. 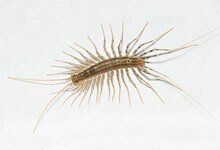 If you are experiencing a problem with centipedes call Pest Pro Exterminating today. Pill bugs are often seen as unwanted (but essentially harmless) home pests. Pill bugs prefer damp areas, which is why they are often found invading homes through openings close to patio doors, laundry rooms and basements. Although pill bugs are essentially harmless if you are experiencing an issue call Pest Pro Exterminating to eliminate the problem. These bugs feed on decaying vegetation most often found in mulched areas around homes. 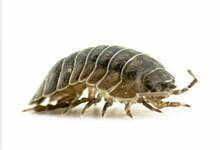 The pillbug has the ability to roll itself into a ball as part of its defense mechanisms. These bugs can be easily identifiable due to this unique feature. Odorous house ants are a native species found throughout the United States. The odorous house ant is very tough, and injured workers have been observed to continue living and working with little hindrance. They also appear highly tolerant to heat and cold. Although they can be difficult to get rid of, Pest Pro Exterminating can help you with your problem. When crushed, the workers of this species give off an odor which resembles that of rotten coconut, giving them their odd name. 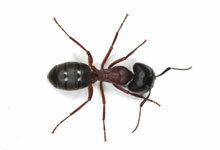 There is only one size worker in their colonies; they are usually about 1/8 inch in length. The odorous house ant is dark brown to black in color, has 12 segments in its antennae, no circle of hairs on tip of abdomen, no club on the antennae, one node, and has an uneven thorax when viewed from the side. Earwigs are beetle-like, short-winged, fast moving insects about one-half to one inch in length. They have chewing-type mouthparts, a pair of pincer-like appendages at the tip of their abdomen and are dark brown in color. Earwigs usually hide in cracks, crevices, under bark or in similar places during the day, but are active foragers at night. They are usually scavengers in their feeding habits, but occasionally feed on plants. This information is very important to remember when killing earwigs that invade homes. 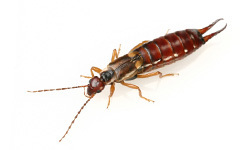 If your home is invaded by earwigs call Pest Pro Exterminating today for help. Fruit flies are small flies measuring about 1/8 inch in length, including their wings. 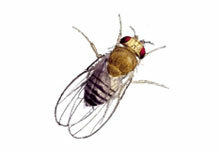 The key identifying characteristic of the fruit fly is its eyes, which are red in color. The head and thorax are tan in color with the abdomen somewhat darker. Pest Pro Exterminating can help you get rid of pesky fruit flies. The key to controlling fruit fly infestations is to locate and eliminate their breeding sources. Although there are several sprays and traps used to kill flies in a home, restaurant or other structure, the infestation cannot be eliminated without eliminating their source. Flying ants are more commonly seen in the summer time. When winged ants swarm in the home, their colony is likely to be located somewhere indoors, hidden in spots such as behind appliances or wall spaces. Flying ants have bent antennae and also a thin abdomen. They are often confused with termites, which unlike flying ants have straight antennae and a straight abdomen. 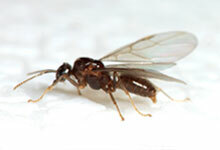 If you need help identifying or eliminating flying ants, call us at Pest Pro Exterminating. We will be happy to come identify them for you so you can take the appropriate action to get rid of them. Meal Moths are probably the most common pest of food found in the home. At Pest Pro Exterminating we can help you get rid of Meal Moths. 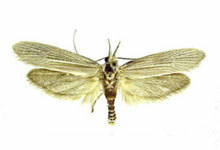 Indian Meal Moths affect food products and not fabric. 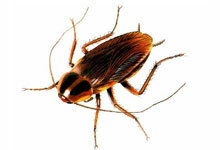 This pest is introduced into a home or building by being brought in with a food product which is already infested. If an infestation exists, removal of all infested food products is key to managing this pest. Thus, the first step in managing an Indian Meal Moth problem is inspecting for and then removing infested food. The list of products to check includes milled foods such as flour, pasta, cereals, cornmeal, spices, and, most commonly, dry pet foods. There are numerous mites that are capable of invading our homes. 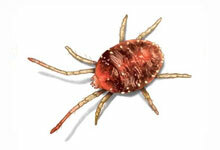 If you have a problem with mites let us at Pest Pro Exterminating help you get rid of them. Mites that originate from animals can easily enter a home (due to their tiny size) through tiny entrance points around windows, doors or any other space large enough for them to squeeze through. Other mites that originate from plants do not migrate as well as other mites but they can enter our homes by hitching a ride on anyone that works in gardens, hot houses, nurseries or even children playing outdoors. Most plant mites do not bite but they can be an annoyance when their numbers are high. These mites can also cause an allergic reaction in some people. House mice are considered one of the most troublesome and economically important pests in the United States. 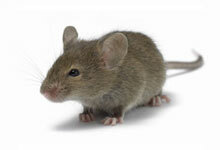 If you are experiencing a problem with mice call us at Pest Pro Exterminating today. House mice live and thrive under a variety of conditions in and around homes and farms. House mice consume food meant for humans or pets. Their constant gnawing causes damage to structures and property. Droppings, fresh gnawing and tracks indicate areas where mice are active. Mouse nests, made from fine shredded paper or other fibrous material, are often found in sheltered locations. House mice have a characteristic musky odor that identifies their presence. Mice are occasionally seen during daylight hours. There are two pest species of rats commonly found in domestic and commercial premises – the brown rat and the black rat. The identification of each species is essential to formulate an effective control program. 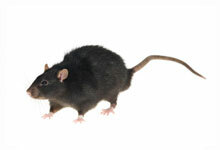 Rats become a serious problem in cold winter months when they seek food and warmth inside buildings. They may suddenly appear in large numbers when excavation work disturbs their in-ground nesting locations, or their food source is changed, such as, rats feeding in school premises may enter adjoining properties during the school holidays. Professional knowledge of the rodents habits is essential to eradicate a problem, for example, rats avoid bait touched by human hand – they have an acute sense of smell “cunning as a rat”. Let the professionals at Pest Pro Exterminating help eliminate rats from your home. Raccoons are very versatile animals. They will eat almost anything and can live in almost any environment. The best places for raccoons to live in are attics and chimneys. They might be overturning garbage cans, taking pet food from kitchens and fruits from trees, making a ruckus with household animals, or even be carrying rabies which makes them a nuisance for all home owners. 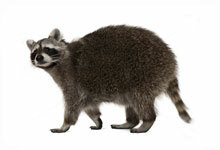 Here at Pest Pro Exterminating we can take all necessary precautions to deal with your raccoon infestation in a safe manner. 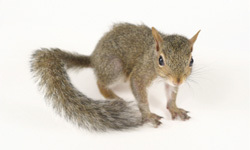 A squirrel in attic is the most bothersome pest for a homeowner to have to deal with. If you are experiencing a problem with squirrels call us at Pest Pro Exterminating today. Squirrels can a lot of damage to houses. Squirrels like to chew on various edible and inedible objects. They can chew large holes through wood and often chew through electrical wiring insulation. Grey squirrels are the most common squirrels we see outside in our yards. They come out early in the morning and are active throughout the day. The most common symptoms of a gray squirrel infestation are loud chewing and scratching sounds in walls and ceilings just before dark and again in the early morning hours.